William Bolton is a musical artist with over 150,000 monthly listeners on his Spotify. I reached out to him in 2016 to help revamp his website and online presence. 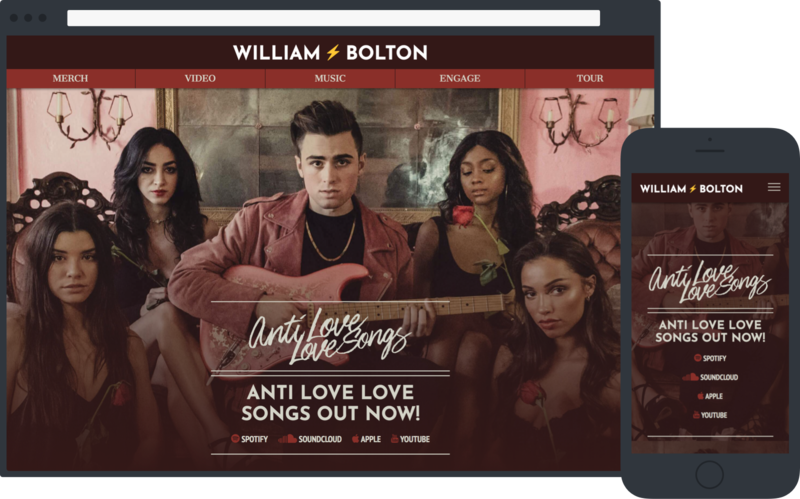 Integrating a custom landing page into Shopify allowed William to keep the same domain and continue to benefit from merchandise and music sales, while establishing a stronger brand identity. Since William is very active on social media, we also made sure to include unique callouts to his various platforms to encouraged fans to engage with him. As a huge music fan, this was a very exciting project for me to work on. 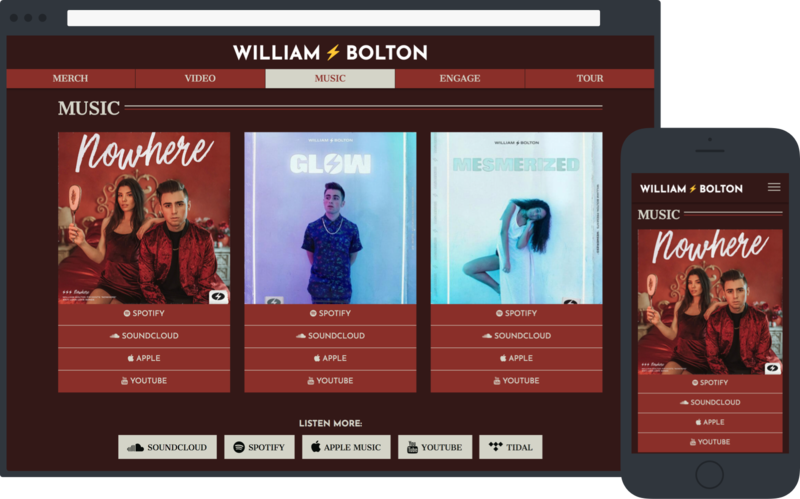 While I was able to play the role of a user and think about my own use cases when exploring artists' music, I also made sure to dig into some of William's own observations of his users to see what other features would benefit them. I continue to work with William today and we are constantly discussing ways to better engage his fans and help spread his music.